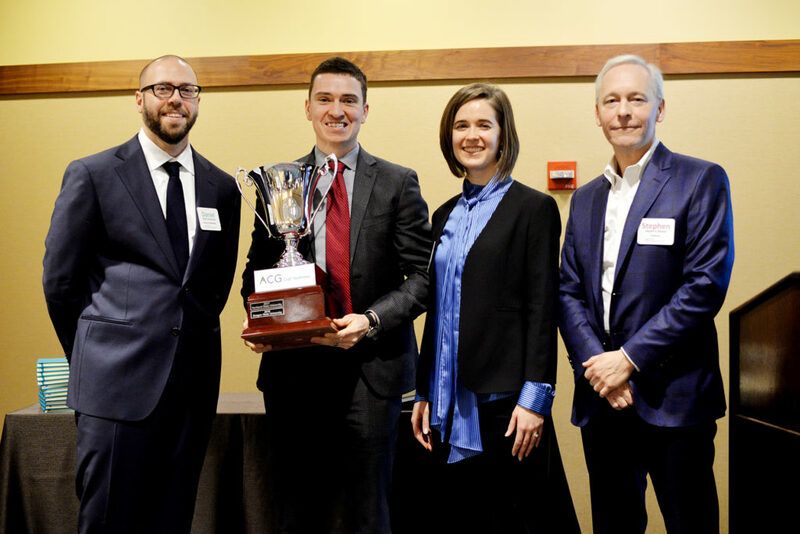 We are pleased to announce that the University of Washington (UW) went home with the 2019 ACG Cup Northwest trophy earned in the annual finance case competition on Friday, February 22 at the Multnomah Athletic Club in Portland. The team consisted of Daniel Charbonneau (GE Aviation), Joel Graves (Washington Roundtable) and Marie Kiekhaefer (Sporcle) who are pictured below with Finals Judge Stephen Babson from Endeavour. Second place went to Portland State University, the first place winner in 2017. Team members consisted of Bradley Goodenough, Zachary Olson and Dragon Tran. 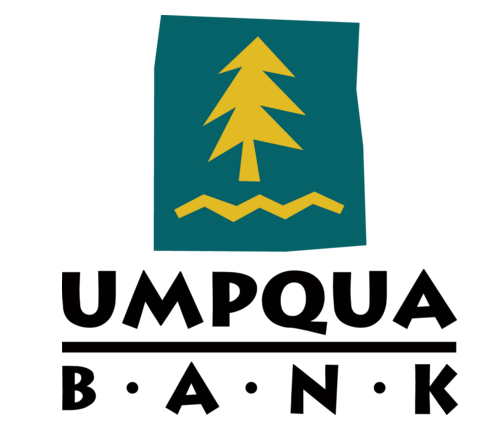 Third place was shared by two teams, the University of Oregon (UO) and Gonzaga University. The UO team members were Kaveh Anderson, Hank Manilla and Forrest Walker while the Gonzaga team was made up of Reid Elliott, Michael McAtee, Reed Ocheltree and Bryce Rieckers. 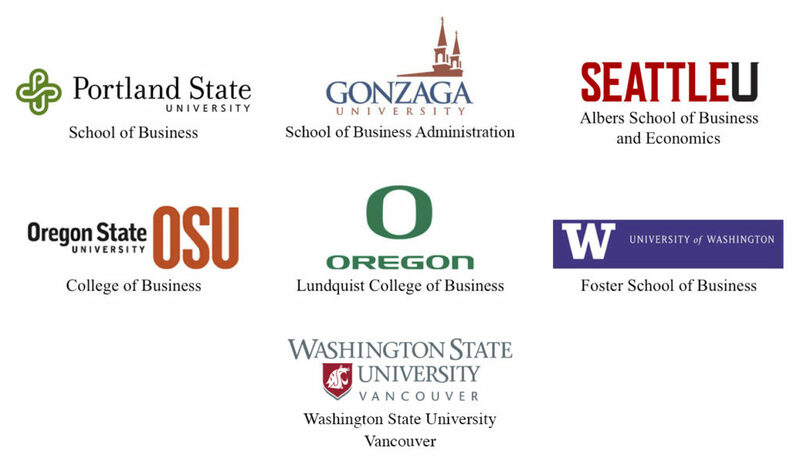 Other teams partici­pating in the competition included Oregon State University, Washington State University and Seattle University. ACG Cup Northwest Finals Highlight Reel! Hear directly from ACG Cup participants across the country. 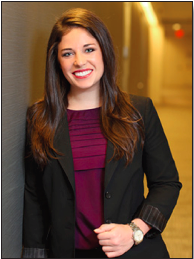 "My participation in the Minneapolis ACG Cup competition provided a real world challenge for utilizing the knowledge I had gained through my graduate education along with much greater insights into investment banking. The test cases are created every year based on business scenarios that actual dealmakers encounter and offer a unique business experience. Networking with other students along with business leaders in the community, exercising team building skills, and polishing presentations outweigh any financial award the competition provides. I would highly recommend participation in this unique and beneficial opportunity. I am pleased to now be involved with the committee expanding the ACG Cup opportunity in to the Pacific Northwest."